Apollo Bay is a coastal town in southwestern Victoria, Australia. Start off your visit on the 31st (Fri): explore the wealth of natural beauty at Great Otway National Park. To find photos, reviews, ratings, and tourist information, read Apollo Bay trip app . Singapore, Singapore to Apollo Bay is an approximately 14.5-hour flight. Due to the time zone difference, you'll lose 2 hours traveling from Singapore to Apollo Bay. Finish up your sightseeing early on the 1st (Sat) so you can go by car to Warrnambool. Warrnambool is a regional centre and former port city on the south-western coast of Victoria, Australia. Start off your visit on the 1st (Sat): look for all kinds of wild species at Thunder point Coastal Reserve, then contemplate the waterfront views at Bay of Martyrs, and then head outdoors with The Arch. On the 2nd (Sun), you'll have a packed day of sightseeing: see the interesting displays at Flagstaff Hill Maritime Village, enjoy the sand and surf at Foreshore Promenade, view the masterpieces at Blarney Books and Art, then view the masterpieces at Whale Bone Studio Arts, and finally enjoy the sea views from Griffiths Island Lighthouse. To find where to stay, maps, traveler tips, and more tourist information, read our Warrnambool online road trip planner . You can drive from Apollo Bay to Warrnambool in 3 hours. Alternatively, you can take a bus; or do a combination of bus and train. Finish up your sightseeing early on the 3rd (Mon) so you can go by car to Halls Gap. On the 3rd (Mon), trek along Grampians Peaks Trail, then trek along Chatauqua Peak, and then steep yourself in history at Bunjil's Shelter. Get ready for a full day of sightseeing on the 4th (Tue): trek along Grampians National Park. For where to stay, photos, reviews, and other tourist information, use the Halls Gap tour itinerary builder site . You can drive from Warrnambool to Halls Gap in 2.5 hours. Another option is to take a bus. 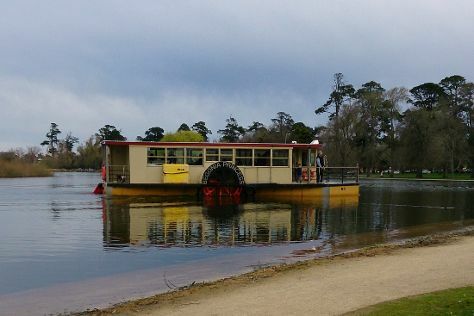 Wrap up your sightseeing on the 5th (Wed) to allow time to drive to Ballarat. Kick off your visit on the 5th (Wed): explore the activities along Lake Wendouree, then explore the galleries of Sovereign Hill, and then ride a horse along Hepburn Lagoon - Trail Rides. For where to stay, ratings, maps, and more tourist information, use the Ballarat vacation maker website . You can drive from Halls Gap to Ballarat in 2 hours. Alternatively, you can do a combination of bus and train; or take a bus. Expect a daytime high around 16°C in June, and nighttime lows around 6°C. Finish your sightseeing early on the 6th (Thu) so you can drive to Echuca. Echuca is a town located on the banks of the Murray River and Campaspe River in Victoria, Australia. Kick off your visit on the 6th (Thu): examine the collection at The Great Aussie Beer Shed, take a peaceful walk through Five Mile Picnic Area, then go for a stroll along the water at Port of Echuca Discovery Centre, and finally indulge your thirst for a good beer at Bandicoot Brewing Pty Ltd.
To see other places to visit, where to stay, reviews, and more tourist information, use the Echuca trip planner . Getting from Ballarat to Echuca by car takes about 3 hours. Other options: take a bus; or do a combination of bus and train. Finish your sightseeing early on the 7th (Fri) so you can drive to Bendigo. 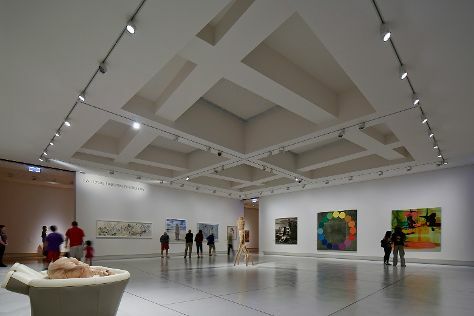 Kick off your visit on the 7th (Fri): explore the galleries of La Trobe University Visual Arts Centre, admire the masterpieces at Bendigo Art Gallery, see the interesting displays at Confectionery Capers, pause for some serene contemplation at St Kilian's Church, then take in the exciting artwork at Post Office Gallery (Bendigo Art Gallery), and finally learn about all things military at The Soldiers Memorial Institute Military Museum. Keep things going the next day: steep yourself in history at Fortuna Villa, then view the masterpieces at Castlemaine Art Museum, and then learn about winemaking at Bress Winery. To see ratings, photos, traveler tips, and other tourist information, read Bendigo trip planner . Getting from Echuca to Bendigo by car takes about 1.5 hours. Other options: take a bus; or take a train. Cap off your sightseeing on the 8th (Sat) early enough to go by car to Melbourne. Your itinerary includes some good beach time at Brighton Beach and St. Kilda Beach. Escape the urban bustle at Melbourne Zoo and Moonlit Sanctuary Wildlife Conservation Park. Explore Melbourne's surroundings by going to Seville Estate (in Seville) and Bruno's Art and Sculpture Garden (in Marysville). 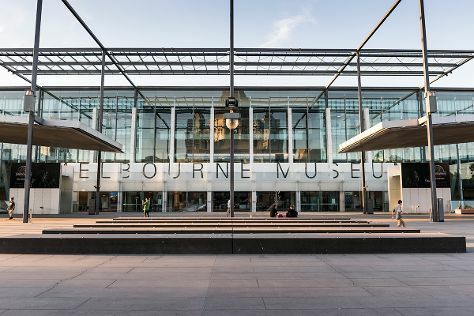 The adventure continues: browse the exhibits of Shrine of Remembrance, take in panoramic vistas at Eureka Skydeck 88, take an in-depth tour of Immigration Museum, and explore the world behind art at Craft Victoria. To find traveler tips, photos, and more tourist information, read Melbourne online travel route builder . Drive from Bendigo to Melbourne in 2 hours. Alternatively, you can take a bus; or take a train. June in Melbourne sees daily highs of 16°C and lows of 6°C at night. On the 12th (Wed), you'll have the morning to explore before heading back home.